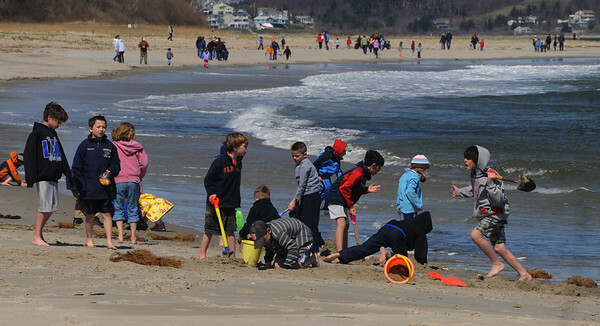 People swarm Crane beach on Monday. It was a free family fun day. Besides the free admission, there were activities for all ages during the day. Photo by Ken Yuszkus/Salem News, Monday, April 18, 2011.